Arctic reindeer getting smaller due to climate change? 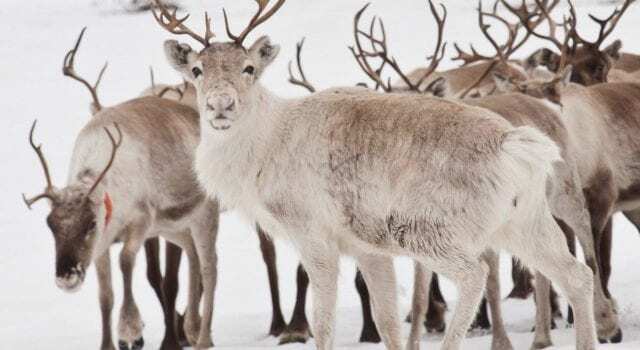 Reindeer in the Arctic have been shrinking in size over the past two decades, according to research revealed at a meeting of the British Ecological Society on Monday. Scientists studying the caribou in Svalbard, Norway, found that average adult reindeer weight declined 12% in a 16-year-period, dropping from 121 pounds for those born in 1994, to about 106 pounds for those born in 2010. Previous articleBill would strip funding from schools that ban the flag! Next articleGeorge Stephanopoulos’ worried daughter cant have an abortion!